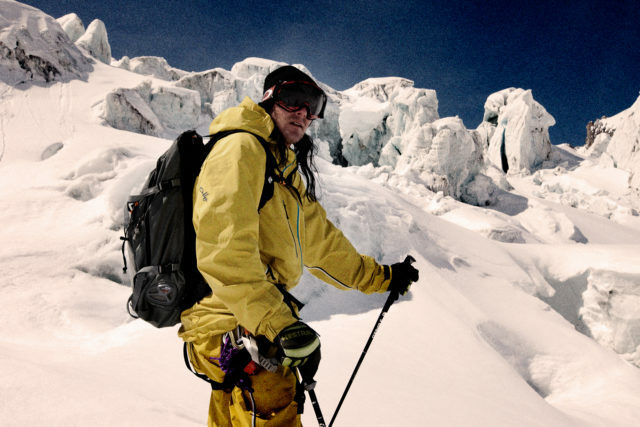 Why is Seth Morrison, one of the most influential skiers of all time, shopping for new skis? On Twitter? Turns out he’s been cut from K2’s athlete roster. He’s not listed on the brand’s website; and he doesn’t list them as one of his sponsors on his own site. Further details are scarce, but this means that the oldest and longest tenured member of the K2 Factory Team–he was with the brand for 24 years–is without a ski sponsor. Neither Morrison nor K2 immediately responded for comment. 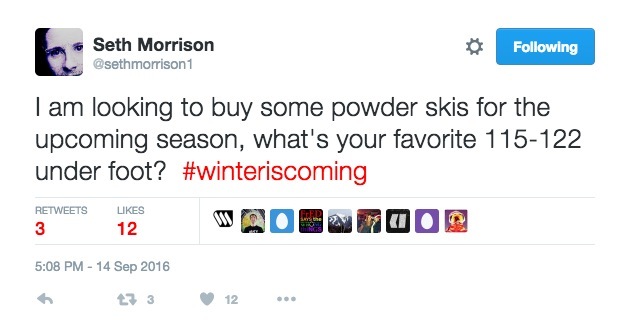 Morrison, 42, will probably not have to buy new skis and will probably be picked up by another brand soon. There were plenty of suggestions posted to his Twitter feed. Whether K2, which has seen its entire marketing staff turn over in the past year, will be fine without him remains to be seen. The brand may have bigger problems. Providing somber context is a story posted on September 8 in the sports business journal SGB Media (you’re probably wondering how that’s not on your Twitter feed), explaining how K2’s parent company, Newell Brands, is looking to divest in “unidentified businesses” within its portfolio by the end of the year. Newell purchased K2 along with several other outdoor brands when it merged with Jarden last year. It is unknown whether K2 would be part of that strategy, though both developments send a worrisome message about the overall health of the ski ecosystem. Sort of makes you wish you packed a better lunch.